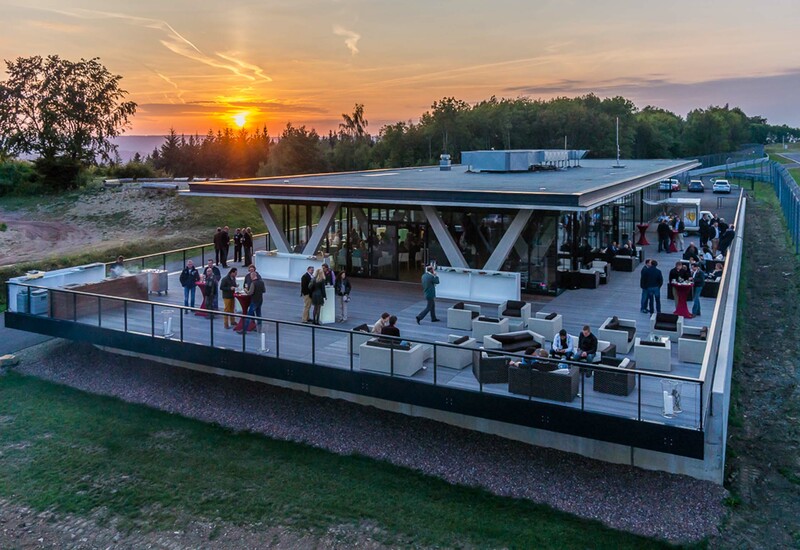 The building is located at the highest point on the grounds, between the racetrack and off-road course, and is the perfect setting for concluding your event with a barbecue on the spacious terrace. 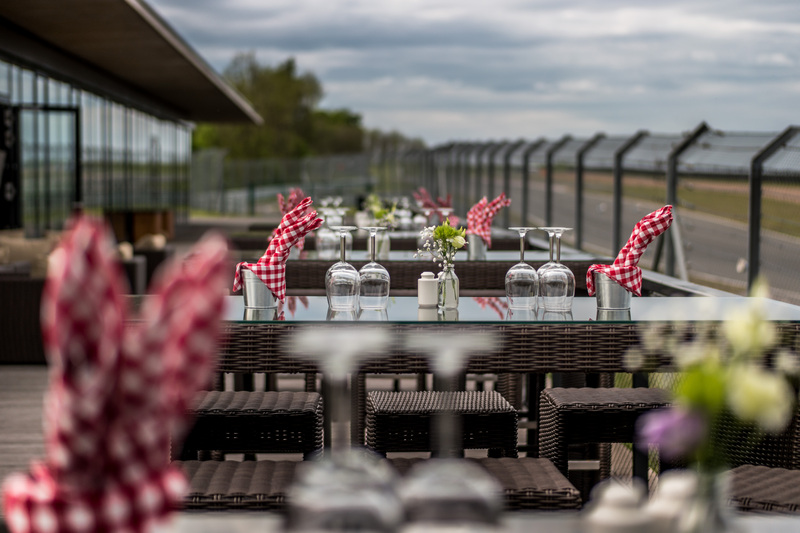 The location highlight with the best view of the natural surroundings and the racetrack. 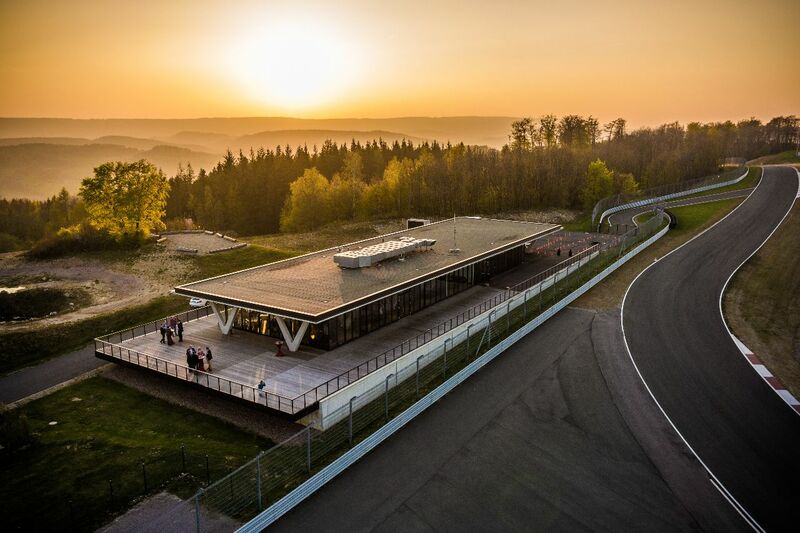 Located at the highest point, your guests will enjoy unobstructed views of the track and the magnificent landscape of the Teutoburg Forest. The location in a dead end will provide you with privacy and exclusivity, while at the same time being right on the track. The perfect location for a special group of participants. 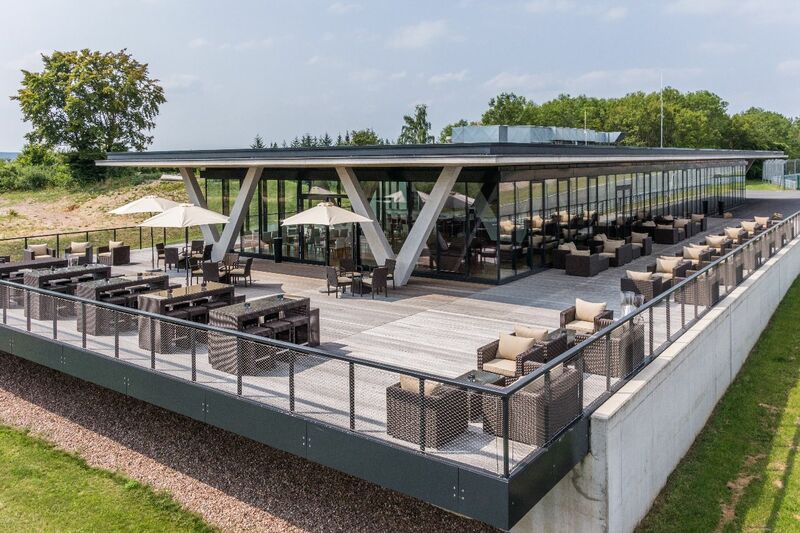 In addition to the spacious terrace, there is also a sizable meeting room and a large club room with lounge sofas and a bar. Experience the Clubhaus from a spectacular 360° perspective! Present and inform. Each location has conference and training rooms that can be individually configured for your product presentations. 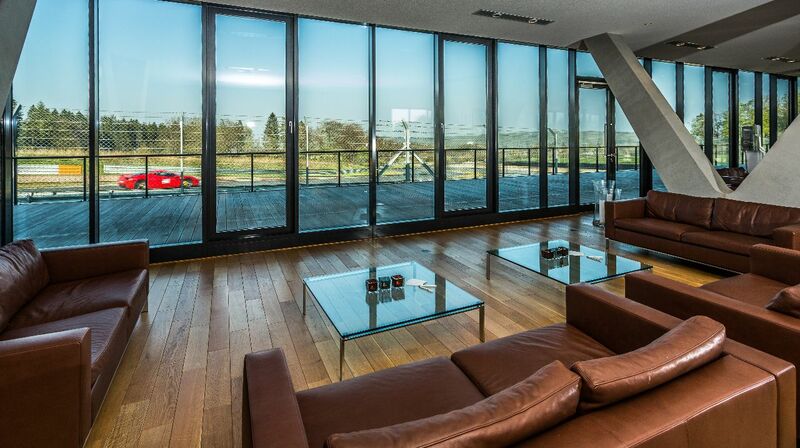 The local highlight with a large lounge and spacious terrace. For the best view of the track in a unique atmosphere. You arrive before your brand experience and also have the opportunity for an exclusive reception.